We provide solutions to all cable problems. Is the cable broken? Has it come off? Worry not. 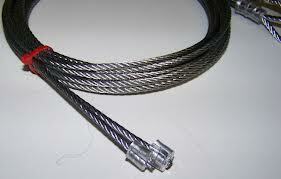 Just call our company now for garage door cables repair Dallas service. No matter what problem you are facing, it is easily, promptly, and safely resolved by us. Once you place a call to our team, a tech comes out on the double to offer the requested service. They are always well-equipped and have the training and skills to fix, replace, and install garage door cables in the best possible way. So, if you need cable repair experts in Dallas of Texas, give us a call. If the cable broke, don’t give it a second thought. 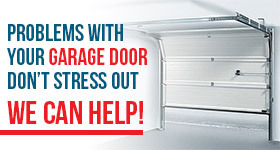 Call us right now for garage door cables replacement. There is no point of waiting around for long. Once cables snap, there is no turning back. They must be replaced as fast and as carefully as possible. That’s a job for a pro only. And we proudly send you the most skilled and experienced techs in Dallas. Experienced with cables operating with torsion and extension springs, they don’t only remove them with caution but install them properly too. Why is installing garage door cables difficult? Because it’s a matter of putting cables in their right position and carefully connecting them to the spring system. And that’s not all. The level of the garage door must be checked. Sometimes, only one cable breaks. And so the pro must check the other side of the door once the cable is installed to make sure the second cable is wrapped around the drum too. There is a lot to be done to ensure the garage door is balanced and safe for you to use. At Citywide Garage Door Repair Dallas, we dispatch techs that cautiously take every step needed to complete the service by the book. We will be at your service the minute you call us for garage door cables repair. Since cables come off whenever they are loose, their drums are worn, the springs are broken, or the tracks are misaligned, the pros take a closer look. They always check to identify the culprits and thus fix the problem for good. With our help, cables are repaired in a professional and prompt manner. Since you most likely cherish your safety and want the job done quickly and effectively, don’t hesitate to reach out to us should you need garage door cables repair in Dallas. Need cable repair today? Call now.